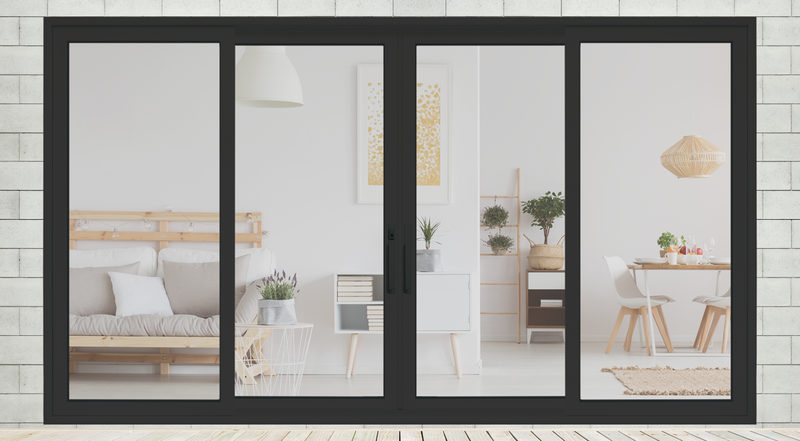 As part of a more energy efficient home package, the Vantage patio door is offered with the option to upgrade to triple pane glass. Triple pane glass prevents heat loss and provides superior soundproofing to keep a home peaceful and warm year round. 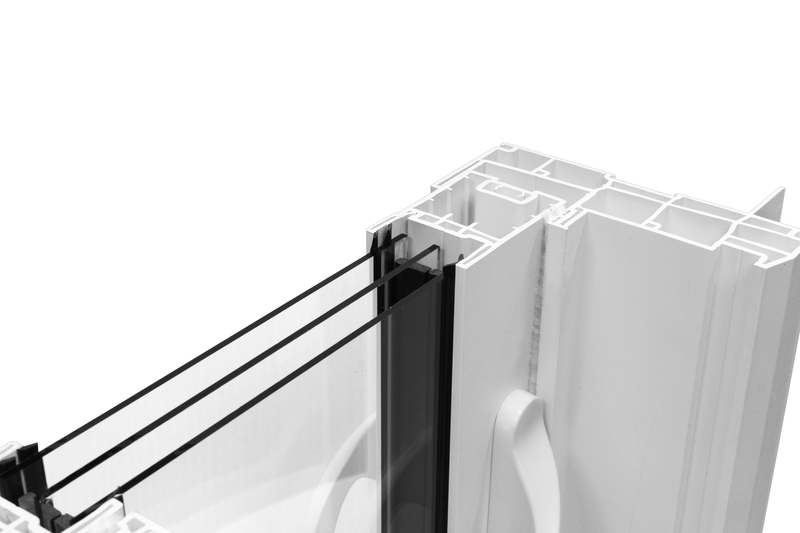 Vantage also comes with a true fixed sash for an innovative, balanced appearance. Vantage is designed and optimized to fit easily into standard 9 foot high ceiling rough openings. 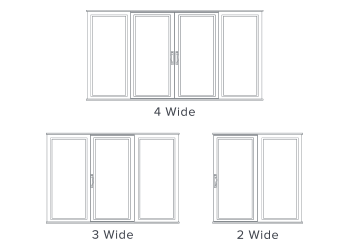 It’s also offered with a true fixed sash for a balanced appearance, and comes in 2, 3 and 4-wide panel options, ranging in size and configuration for a larger, more luxurious look. 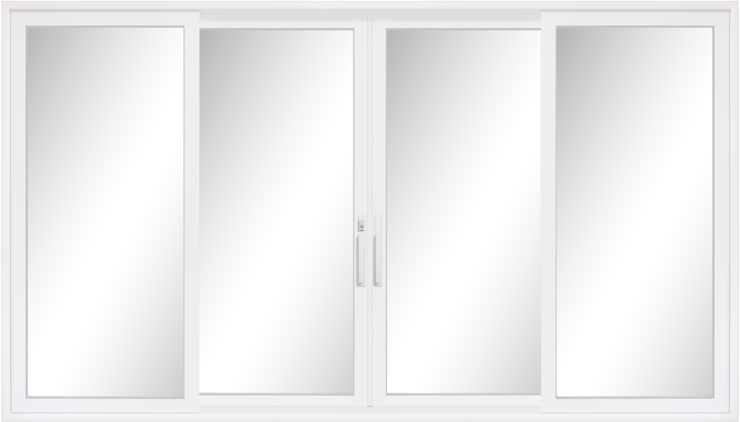 As part of a more energy efficient home package, the Vantage patio door is offered with the option to upgrade to triple pane glass. Triple pane glass prevents heat loss and provides superior soundproofing to keep a home peaceful and warm year round. Add a clean and simple look to any home. 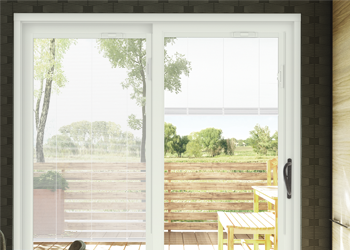 Virtually maintenance free, internal blinds don’t accumulate dust or dirt. These long-lasting blinds are cordless for added durability and safety for homes with children and pets. Available in white and satin. When it comes to exterior design, the right coloured doors can make a home stand out while reflecting style and elegance. Be bold or subtle: the choice is yours. Choose from a number of finishes or stains to give your door the final touch of elegance it needs. Colour options may vary depending on the door selected. Customize your doors with a wide selection of hardware available in different styles and finishes. Whether it’s a contemporary handle for those wanting a sleek, modern style or classic handles for an elegant, timeless look—we offer a variety of options to enhance any size of door. Colour options may vary depending on the hardware selected. Enhance your home’s curb appeal by installing exterior brickmould for your new door. Our wide brickmould gives your entrance a wider, more classic appearance and is available in a variety of colours and styles to add more prominence to the door’s regular frame. Brickmould options may vary depending on product. For a more detailed bevel and classic style, go with our Georgian grille. Choose from a variety of SDL colours and sizes to suit your new door’s style. Also spaced a ½ inch apart, these three panes provide more insulation than dual pane when it comes to energy efficiency. Enjoy lower heating costs, virtually no condensation and an excellent sound barrier, giving your home added privacy.